This is absolutely true. Lot of companies invest huge amount on leadership development; however it is very difficult to develop a leaders in short span of time. Companies need to invest lot of time and require patience on this. Yes, still I am one of the advocates of such programmes and I personally worked on many leadership programmes. It is not just a winning culture or efficient work processes that guarantee corporate survival. It is a leader with the ideas and ability to motivate and change that is a crucial determinant between success and failure. You can definitely train your guys on managerial skills, however leadership is a psyche. You have to see the spirit and psyche of person to guise the future leader into him. If the person knows where he is going, he has the potential to be the leader! Just have the look on following different levels in leadership. 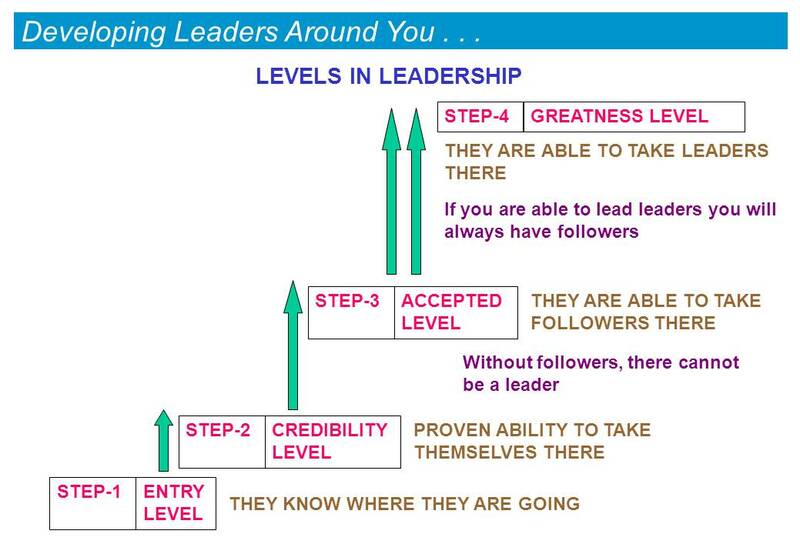 Your leadership level determines attraction level of potential leaders! Surround yourself with leader - acquiring and keeping good people is a leader’s most important task. They help carry the load. Mentor potential leaders, grow a leader & grow the organization; they multiply. Leadership flows across and down; seldom up!! One has to expand one’s leadership skills…. Two years ago, I also attended some courses at a Toronto leadership development camp held by http://www.robinsonleadership.com. They really helped me improve my leadership skills. Now, I'm more successful in my business. Because of this reason, I highly recommend these courses to anyone who wants to become a better leader! Reading your articles is always a fun and gives diffrent insight Vinod. It shows us to look the subject with diffrent perspective.